The Race Relations Act applies to anyone who lets out a property – except for any landlords who may be letting out what are called ‘small premises’ where they or someone from their family lives and share facilities with the potential lodgers/tenants. This exemption applies only if the discrimination is on grounds of colour or nationality, but does not apply if the grounds of discrimination are racial, ethnic or national origin. In general, the Race Relations Act legislation makes it unlawful for a landlord to discriminate against a tenant or potential new tenant on racial grounds. 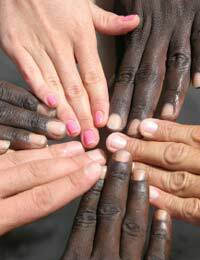 Racial grounds include a person’s race, colour, nationality or ethnic or national origins. The Race Relations Act sets out four types of racial discrimination. These are direct, indirect, victimisation and harassment. What is Direct Racial Discrimination? Direct racial discrimination is when someone is treated less favourably than others in a comparable situation, based on racial grounds. Examples of this could include refusing to let a property to a potential tenant on the basis of their race, asking for a higher deposit or restricting access to some facilities. What is Indirect Racial Discrimination? Indirect racial discrimination is harder to identify but could be one of two different types, depending on the specific racial grounds of discrimination. The first type of discrimination is on the grounds of a tenant’s colour or nationality and the second is based on their race, ethnic or national origin. can only be met by a considerably smaller proportion of people from a particular racial group. which is to the detriment of a person from that group because he or she cannot meet it. the requirement or condition cannot be justified on non-racial grounds. brought proceedings under the Race Relations Act against the landlord or anyone else. given evidence or information in connection with proceedings brought by another person under the Race Relations Act. done anything under the Race Relations Act or with reference to it. alleged that a person has acted in a way which would breach the Race Relations Act. The complaint does not need to expressly claim discrimination when making the complaint. The definition of harassment, which was introduced by the Race Relations Act 1976 (Amendment) Regulations 2003 applies when discrimination is on grounds of race or ethnic or national origins, but not on colour or nationality. Harassment on the grounds of colour or nationality may also be considered to be unlawful direct discrimination. If a landlord harasses a tenant on the grounds of their race, ethnicity or national origins, violates the dignity of the tenant, or creates an intimidating or hostile, degrading, humiliating or offensive environment for them, they could be subject to a claim for victimisation under the Race Relations Act.